Clarify the butter and set aside. In a food processor, finely chop the almonds, walnuts, sugar, clove, cinnamon and mix together. It shouldn’t be finely chopped, but not too chunky, either. Combine the sugar, cinnamon stick, water, orange peel, lemon juice and honey in a pot. Set on medium heat and let it simmer until it’s syrupy. This will take awhile. 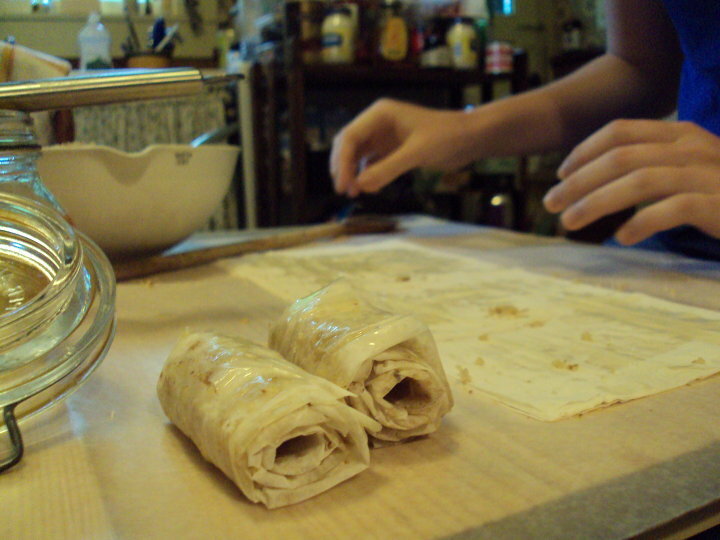 Cut a piece of the filo dough in half so it’s about a foot long and a few inches tall and butter it. Sprinkle the nut mixture down the middle, taking care not to overstuff it (remember, it will be layered when you fold it). Fold the bottom part of the filo over halfway, and then the top over halfway to meet it with a centimeter or so of overlap. 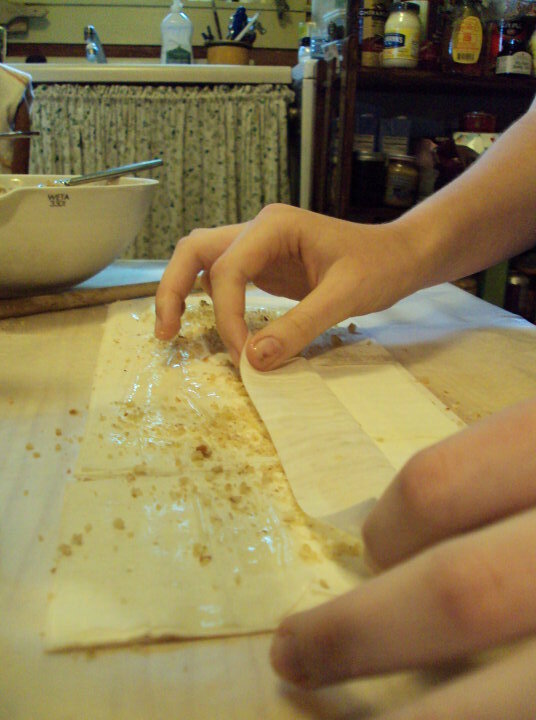 Using a dowel or your finger or even the end of a wooden spoon, roll it, buttering along the way if you can. Be sure to butter it at the end and you should have a nice little roll of baklava. Continue these steps until you’ve made however many pieces you want! Bake the baklava on a baking tray in the oven at about 350 until slightly golden. By now, the syrup you’ve made should be cool. 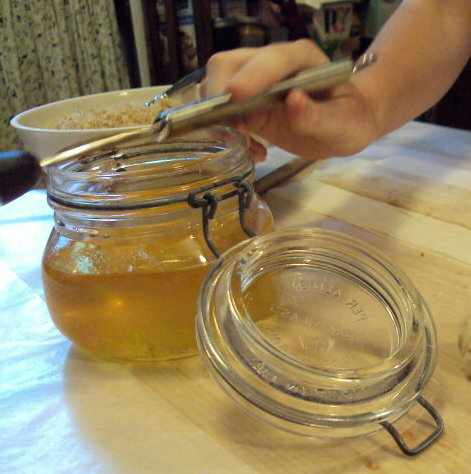 The trick is to apply the cool syrup to the warm baklava just as it’s coming out of the oven. Dip the fresh baklava into the syrup, and then drizzle a bit extra after you’ve taken it out of the syrup dip. Let them rest for at least an hour for full sugar soakage and enjoy! OMG. KILLAH! I'm bookmarking this, STAT!